Will the man-skirt ever be accepted? Clearly, it's the connotations of a skirt that holds so many men back from wearing them - the fear of being labelled transexual, gay or being ridiculed by friends for dressing like a girl. Whilst I think, that these are stupid reasons, the stigma is undeniable. But at the end of the day, is a skirt really that offensive on a man? Sure, I will be the first to admit that I'm not the biggest fan of the man-skirt - but with the right choice of fabric, length etc... 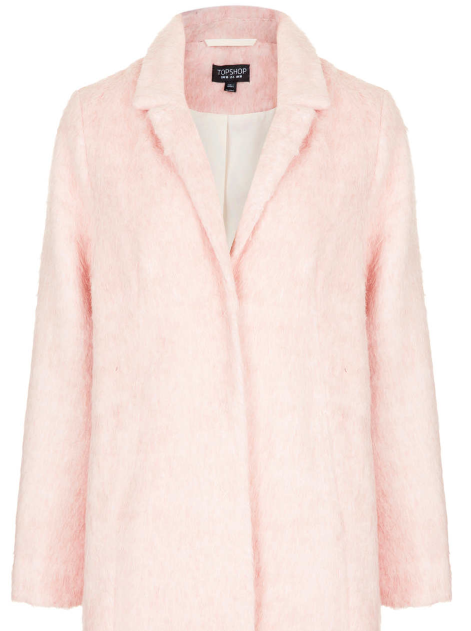 They can look really great - see Marc Jacobs or Kanye West as an example. And there's also the other issue - that has always baffled me - kilts on the whole are culturally acceptable, being a key part of Scottish heritage. However, as soon as you shy away from the tartan print - switch it for say even a safe black - it becomes considered too feminine or even inappropriate for a man to wear. Personally I think Marc Jacobs, someone who is never afraid of challenging men's fashion in his day to day life (e.g his pink dress) looks very chic and not to mention hot in this outfit, but then I think Marc Jacobs looks hot in about everything. Kate Moss may have turned 40 this year, but that doesn't mean she's going anywhere - as she is now the new face of Alexander McQueen. In true Alexander McQueen style, the Spring/Summer 2014 campaign has a very spooky/eery feeling to it, with Kate Moss donning a short blonde/yellow hairstyle - looking similar to Tilda Swinton. Accompanying the photos is a short campaign film directed by Steven Klein, which features Kate Moss being pursued by a stalker - a modern retake on the Michael Powell thriller Peeping Tom. Apart from the clothes, which are in bold gold, reds and black - Kate Moss can be seen with a small doll version of herself, which is possibly a voodoo doll judging by the pins. I'm not sure how many notebooks I've accumulated over the years, but all I can say is I own a lot of them and ashamedly most of them are unused or barely filled. 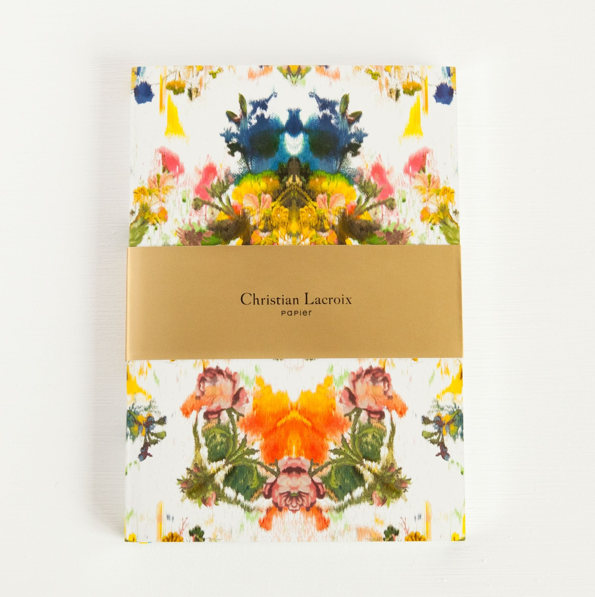 But I feel like if I bought this Christian Lacroix notebook, I'd want to write in it all the time. Sure it's on the more expensive side, being £15.95, but it's beautiful. It may be winter and raining all the time (oh the joys of London) but in typical me fashion, I've found myself still lusting over pastels - as if summer had never passed. Purple is a colour that isn't seen enough in fashion - so I love that lilac (in my opinion the best shade of purple) has started to spring up everywhere. 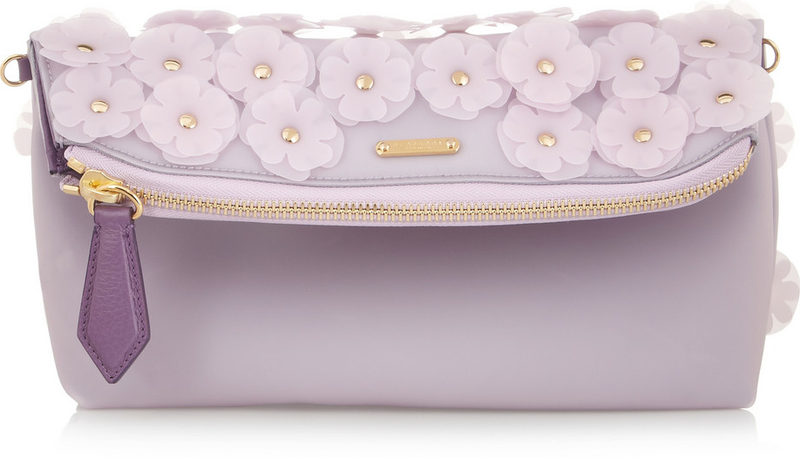 I love this Burberry Prorsum PVC clutch with a pretty flower detail - it's almost how I'd expect MJ's daisy perfume to look if it was a bag. 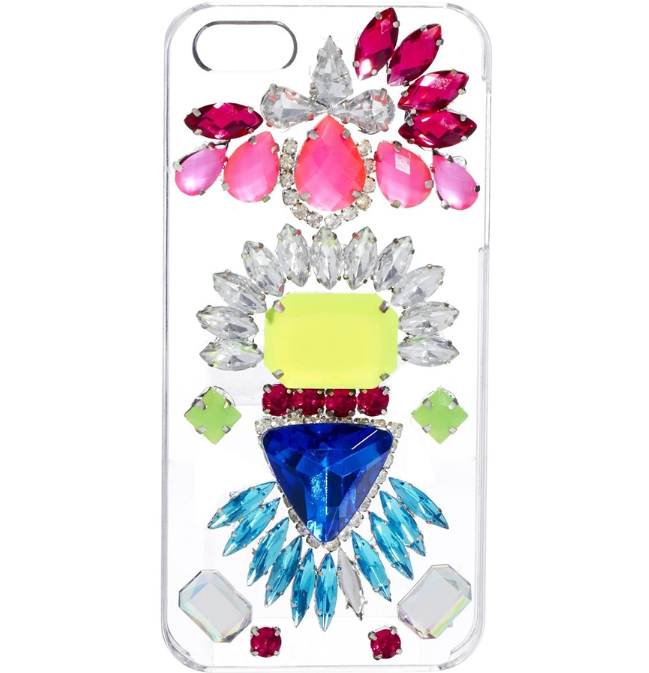 I am yet to own a perspex clutch - or really anything in perspex, but I think that perspex always look uber cool. 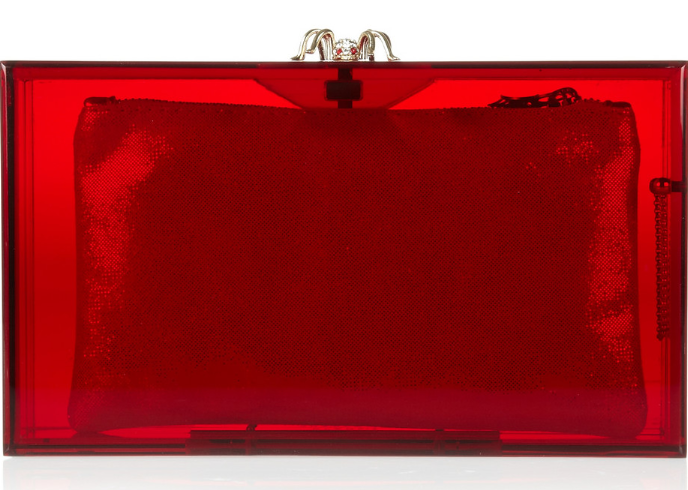 I love the dark vibe of Charlotte Olympia's Pandora clutch, with its spider clasp. I was surprised that she went for such a dark vibe as her bags are usually so light-hearted (e.g her 'be mine' love heart bag). Plus, the fact she's included a pouch inside tackles the perspex problem - no need to make everything inside your bag look neat - it's hidden! 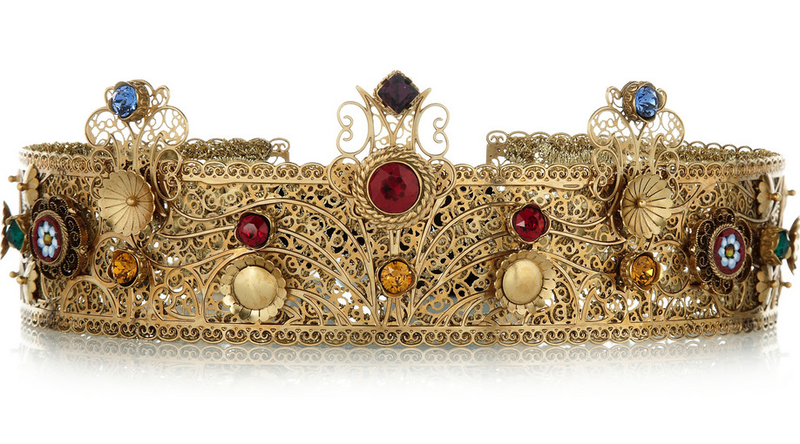 I LOVE, Dolce and Gabbana's opulent gold-plated crown (£910), with Swarovski crystals and glass mosaics. 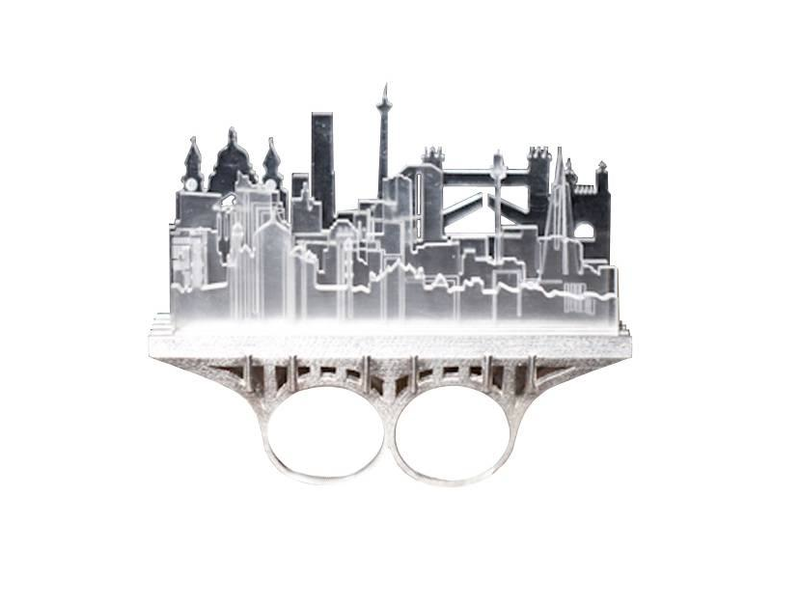 If I could get my hands on one of these, I would be one happy girl - but alas the price tag. Nevertheless, I'll never get bored of looking at it. 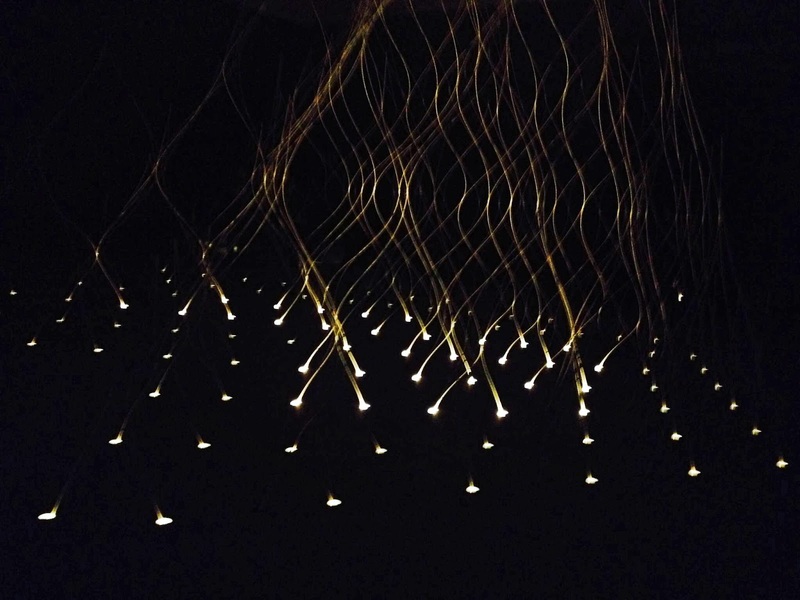 Yesterday, I went with my mother to the amazing Sensing Spaces exhibition at The Royal Academy - an exciting and fun exhibition. Kengo Kuma's installation used light and scent (the smell of tatami and hinoki) to create this beautifully lit space - which reminded me of Yayoi Kusama's beautiful light installations (which if you haven't seen - google it now!). 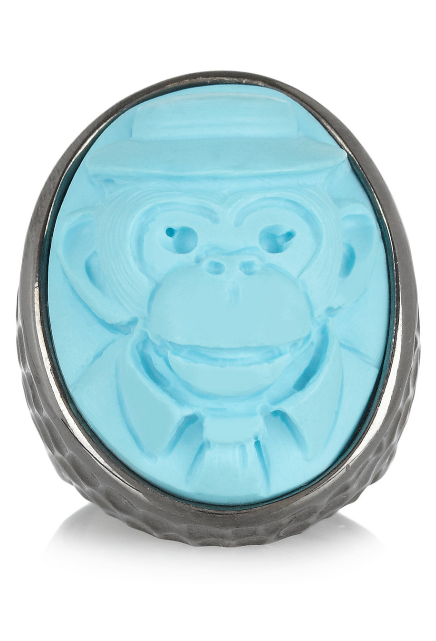 Being a big fan of vintage fashion, I've always loved cameo jewellery, especially when it's given a modern twist. 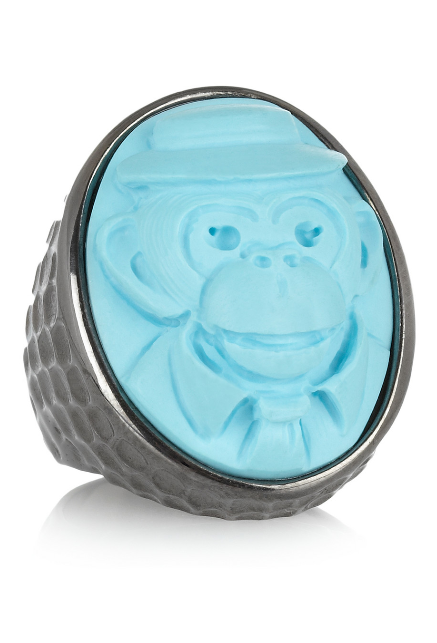 Let's just say (cue pun), I went bananas when I saw this Amedeo Monkey Ring. It just makes me smile. When I saw that Yiqing Yin had a ready-to-wear collection, I was excited to see how she, being a designer famous for her haute couture, could transform her art into everyday wear. What I love about this collection is her ability to use bold design like the Alexander Mcqueen-esque prints below, whilst maintaining a natural subtlety. If you've seen her haute couture collections before, you'll know that her pieces are always very dramatic. To me her work in the past has always reminded me of spiders (which I am terrified of), and skeletons - although like Iris Van Herpen, her collections always seem to be from out of this world - so it's hard to pinpoint where her inspiration comes from. My favourite piece from the collection is the white dress (below). I love how the fabric of the dress is so delicate, as it gives the piece a beautiful sense of vulnerability. Due to my obsession with bows, I adore the back of this dress.